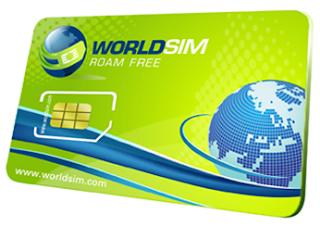 WORLDSIM is a pay as you go sim mobile service, a good inexpensive service for travelers who can make cheap international calls over 220+ countries. Calling rate start at 25p/min, you can also receive calls for free in over 55+ countries. The Sim card will never expire as long as the monthly charge $1 is paid. You can manage your account online and receive free text message after each call informing you about the cost of your call and your credit balance.